Expanded Polyurethane Foam offered by our organization has set benchmark in the industry. Our Expanded Polyurethane Foam is used for packaging of expensive and delicate material. It's not at all expensive and is apt to be used as packing solutions for the products. Our expanded polyurethane foam protects the material from the hazards of transit damage. 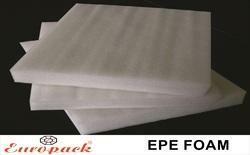 Looking for “Expanded Polyurethane Foam”?